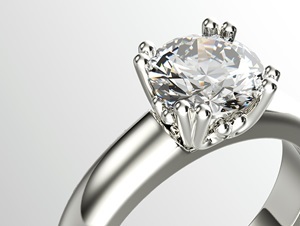 The following financial considerations are important, as divorce and credit go hand in hand. How you proceed now can affect you financial standing in the future. It is vital to make sure that all payments for the mortgage, rent, utilities, loans, and credit cards are made on time. Because delinquent accounts will affect your credit severely in the future, call all accounts and request to be notified of any missed payments. You may want to freeze or close joint credit accounts, or better yet, ask the creditor to convert them to individual accounts in the name of the person who will ultimately be responsible for the debt. Making account changes before the divorce is finalized saves a lot of headaches. The biggest financial considerations center on dividing the assets. Because not all assets are created the same, you need solid information when deciding how to split everything. The consequences of not understanding and finding out when it is too late can be financially and emotionally devastating! 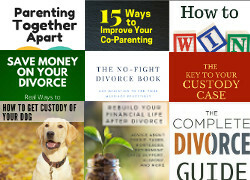 To make sure that you get what you deserve, check out the "Financial Custody: You, Your Money, and Divorce" from the library. This book explains the different aspects of property division in cases of divorce or separation. By reading through the book, you can understand what rights you and your husband each have under the laws of your state, given the specific circumstances of your situation. It also points out how the assets would probably be divided if your case goes to court, versus a settlement arising from negotiations. Another very important financial consideration in your divorce is to find out what your credit rating is. You should get a credit report now to determine if there are any blemishes that will hinder your future ability to borrow money. If there are mistakes on your credit file, or if a reported debt has been paid off, contact the reporting agency to rectify the situation. One service that I like is Credit Karma . They offer you access to your credit score without having to sign up for a membership or charging anything to your credit card. You'll also be able to use their credit score simulator to find out how various actions will affect your score. If you have a history of irregular payments on outstanding debts, you should contact the individual companies to see if they will lower the payments. Once you have made regular payment for six months, they should remove the blemish from your report. Once you have determined your credit history, a wise financial consideration is to establish credit in your own name. When applying for a card, keep in mind the varying interest rates, as a lower interest rate equates to lower monthly payments. Also be aware of whether the interest rate is variable or fixed. A teaser rate on a variable rate card may be enticing, but can eat your lunch when the introductory rate is over, and the rate then soars to over 20%. With this in mind, try to choose a card with a low fixed rate if at all possible. Another financial consideration is to establish your own bank account. If your paycheck is automatically deposited to a joint account, have it switched to an individual account in your name only. You may also want to take your name off joint accounts, since you can be held liable if your spouse over-draws on that account. If it seems likely that your spouse will clean out all the accounts, take your half and put it in your own account. If he is a signer on the children’s accounts, you also need to have his name removed, or have the money transferred to a different account. You can also read more about Divorce & Bank Accounts. If you are separated, as a financial consideration, you can file your taxes separately as "Head of Household". 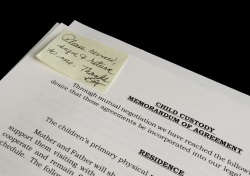 Determine who gets to claim the children as dependents during your legal separation. Keep this deduction if at all possible; it can mean money in your pocket with the earned income credit. If you are claiming the children as your dependents, make sure that your husband doesn’t also try to claim them. The last thing you need is an IRS audit. Your insurance coverage also needs to reflect your change in status. If both names are on a policy, and your spouse has an uncovered liability, you can be held responsible. The best financial consideration is to take your husband's name off the policy, or get your own policy (and take your name off his). If you don't already have an insurance provider, you can shop for the best insurance rates online.